Transceiver: Send and receive messages to and from the SMPP API connection over a single SMPP session. Transmitter: Send short messages to the SMPP API and receive responses. Receiver: Receive delivery receipts of short messages from the API. 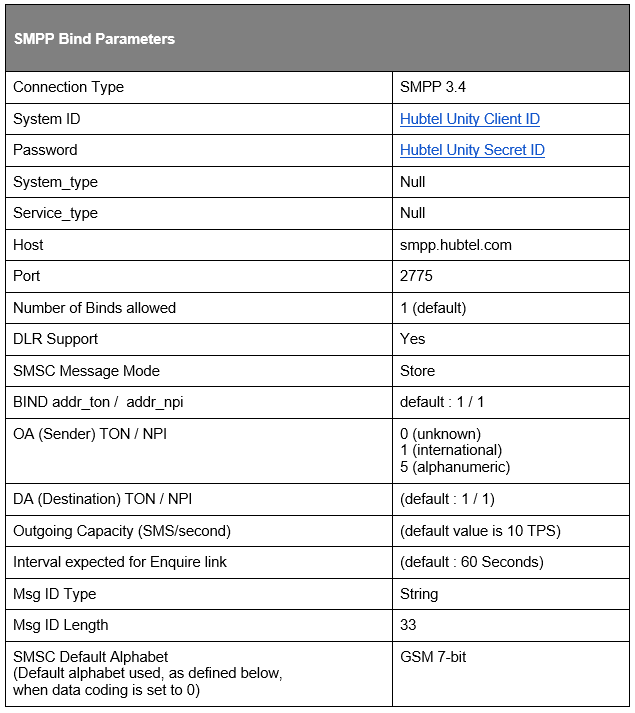 The data encoding supported by the Hubtel SMPP API are data-coding: 0 (for ISO8859-1 encoding) and data-coding: 3 (for GSM0338 encoding).